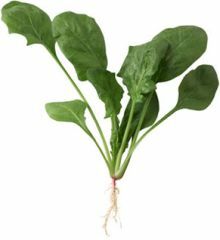 Spinach is a widely known vegetable. 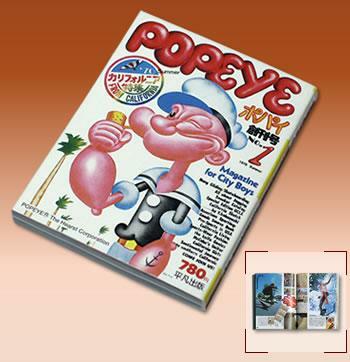 Is it because of the famous character "Popeye the Sailor"? In Japan, there are no families without spinach dish on their dining table. Is it because spinach really makes you healthy just like Popeye? It may not be necessary to explain to you about Popeye, but here's some brief info that we gathered about it. 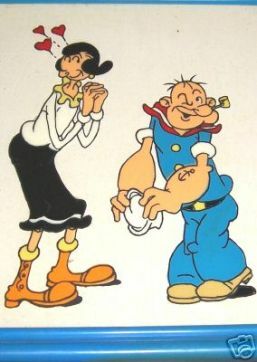 The Popeye character was originally created by Elzie Crisler Segar sometime in 1929. After his death in 1938, several comic writers continued to adapt the Popeye character especially for the production of movie and television. After about 1945, shortage of food made farmers in Japan to produce healthy vegetables, especially spinach, to keep people healthier with muscle power. How do they let people know that spinach is a healthy vegetable? Popeye the Sailor cartoon was the top idea for young generations to inspire them to eat spinach. The popularity of Popeye helped boost sales of spinach. Spinach is probably one of the best healthy leafy vegetables since it contains high level of iron compared to other vegetables. Spinach is a rich source of iron. It is the reason that it is considered as an herbal medicine for anemia in China. It is also considered as a good herbal medicine for gout and kidney stone. Spinach has three times more vitamin C contents than an average vegetable. However, among young generations, the taste of spinach is not favorable at all. It is due to the “oxalic acid” that causes its bitter taste and the formation of “calculus”. We tried to study how to prevent the calculus and make the spinach sweeter for the sake of everybody, especially to appeal to the young generation. Oxalic acid grows independently and does not have a bitter taste. Only during the stimulation with the saliva will it produce a bitter taste. So how do you reduce the bitterness of spinach? The answer: calcium. To test, we made a spinach milk juice—raw spinach and milk were mixed using the juicer. Drink it. You will not feel any bitterness at all. We understood that the oxalic acid contained in spinach can react with the calcium contained in milk and it's effective in removing the bitter taste. At the same time, it also increases its nutritional value. Another way of reducing the bitter taste of spinach is by adding oil when cooking. We made a spinach salad using various oils. So far, using olive oil for spinach salad tasted the best. For salad dressing, you can use mayonnaise, olive oil, milk, yogurt, boiled and dried baby sardines, or small shrimps. The nutritional value of spinach with olive oil also indicated one of the best. Oh, did the creator of Popeye know that spinach and olive oil is one of the best nutritional-valued healthy vegetable foods in 1929? You can also get rid of the spinach's bitter taste by "boiling" or "steaming". The drawback is that its nutritional values such as vitamin C, calcium, and folic acid, will gradually decrease to almost a half. Yet, spinach is still one of the best vegetables to keep you healthy. Here's the result of the remaining amount of nutritional value measured after boiling and steaming, via microwave oven, and frying. Some people might say that microwave is harmful to your health. Those people only knew the information after the magazines and internet articles published in 1990–2000. Today, in USA, 80% of people are using microwave. In England and France, 75% of them are using it. In Japan, more than a 100% of households and restaurants are using it (many houses have 2 or 3 units, in fact, we use 3 units of it in different ways of cooking). Did you know that a second class Japanese wine called sake can taste as good as first class if you warm it using microwave? Almost all wine lovers in Japan use microwave for that purpose. It's also the same with instant coffee on a microwave. The taste of it will be as good as a well-blended coffee brewed by a professional percolator. We also have a special mesh net that can roast fish and meat using microwave. We have another special baking container for bread using microwave, and it is made in USA. We are not saying that microwave oven is safe. We are just telling that studies done in 2006 by several microwave oven users shows almost the same result as any other way of cooking. Of course, nutritional values will decrease but food won't turn toxic as some say. Can Spinach Cause Urinary Calculus (Kidney Stone)? Is it true that spinach can cause urinary calculus (kidney stone)? 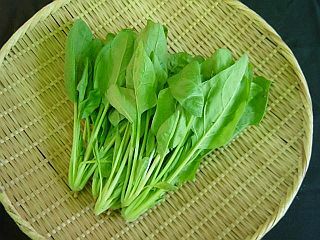 Some doctors and scientists of the old time mentioned that spinach can cause urinary calculus. Yes, it is true. However, studies done by other hundreds of scientists show that it will only occur if you eat spinach weighing about 200 grams or more every day. And it's unrealistic to continue eating 200 grams of spinach each day. Furthermore, it is found that eating spinach together with calcium-rich foods and drinks will cut down the risk of acquiring urinary calculus. Why are we recommending spinach? It is because spinach is a healthy vegetable for people of all ages. It makes your bones and muscles strong and cleans your blood. It is also an herbal medicine for anemia. Spinach makes your brain healthy with wisdom. It grows anywhere globally in almost any season. You can cook spinach the same way as other vegetables. It's also nice to add some garlic, ginger, fish, shrimp, beef, pork, or chicken to match your taste. Oh, yes, if you place raw vegetables including fruits on the PYRO-ENERGEN for about 20–30 minutes, their nutritional values will not change at all. However, its taste seemed to be better. Why don't you try it by yourself? Is it a psychological effect? One of the PYRO-ENERGEN distributors and our workers tried to place some plants for about 30 days, and they informed us that plants grow healthier and greener. Yes, we have done these 40 years ago. We did not get any scientific explanation but we know that there is something that will happen and it's beyond the knowledge of science. I hope that someone will find it for us.